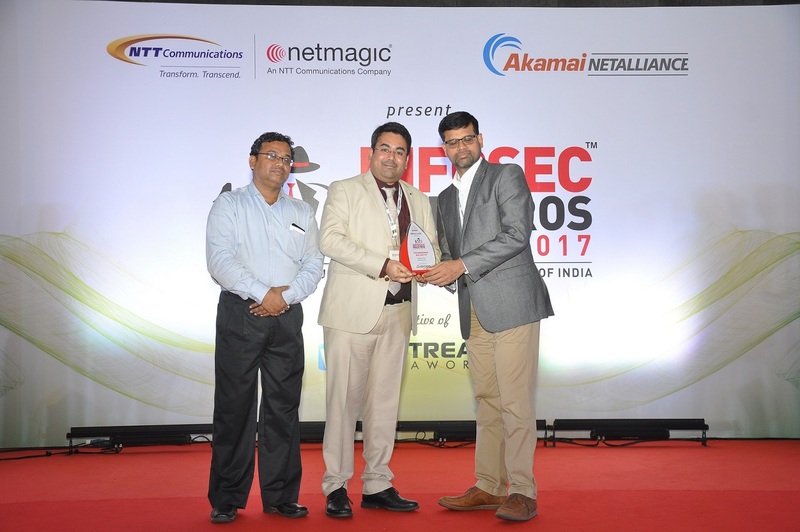 Pavankumar Bolisetty has been awarded Best CISO of the year award, recognizing his leadership in delivering robust cyber security services to help Organizations and Government entities protect their most important assets from evolving cyber threats and stay compliant with regulations including PCI DSS, PA DSS, HIPAA, ISO 27001, SOX, GLBA / FFIEC etc. PavanKumar Bolisetty, India’s best ethical hacker and well known in the security community has won the Best CISO of the Year Award, at the All India Infosec Maestro Conference, Bangalore. He is also referred to as the “Indian Firewall” by India Today and Silicon India magazines. He is also a major driving force behind integrating and streamlining security practices and standards such as ISO 27001/22301/20000/38500, PCI DSS, NIST, HIPAA, and GLBA. Cyber threat has turned out to be one of the most serious economic and national security challenges all around the world. On a global scale, the cost of damage done by Cyber crimes exceeds hundreds of billions of dollars annually. It may be said that economic prosperity of a country in the years to come will depend on its cyber security. It is quite obvious that we not only need more security but also better security. For organizations faced with today’s challenging data security and compliance environment, Pavankumar has provided a unique approach in implementing cyber security and compliance and has assisted more than 300 Organizations that include critical IT infrastructure, global financial institutions, Fortune 500 companies. Pavankumar has extraordinary expertise in dealing with a large number of projects on Information security assessment, advisory, incident management, risk management, application & Infrastructure security architecture and has investigated more than 5000 data breaches and incidents and also been involved in the investigation of the data breaches in the country. Pavankumar has received numerous awards for his praiseworthy contribution to the field. He has been awarded as the ‘TOP CISO of the Year’ for two consecutive years (2015 & 2016) by CISO Platform. BFSI (Banking, Financial services and Insurance) Council of India acknowledged him as ‘BFSI Tech Maestro’ in 2016. He is frequently published by popular magazines including India Today, Silicon India, CNN, CNBC, BBC etc.